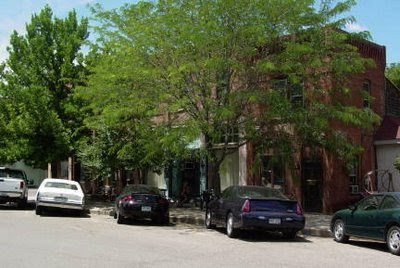 Main Street, the Antiques District. 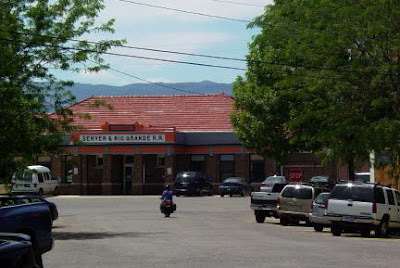 The old Denver & Rio Grande Western Railroad station, now the senior center. The former public library (one of the Carnegie libraries, I think), which is now for sale. Got an idea? Warning: I think the building has plumbing "issues." 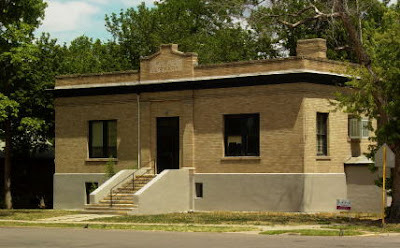 In the late 1980s, I was a graduate student at the University of Colorado. During my last semester, I worked as a graduate part-time instructor in the English department (which was not my department) because they needed writing teachers for their inept composition program. At the end of the semester, I was packing up my little office, when one of the tenured professors (now emerita) came out of her office across the corridor. Making conversation, she asked what my summer plans were. ME: "My wife is house-hunting in Florence." HER: I'm so happy for you!! ME: [pause ... ohmygawd, she thinks I mean in Italy] No, I mean Florence, Colorado. Nowadays I am hearing speculation that Florence could be an art colony. It could be the next ... the next ... Manitou Springs? 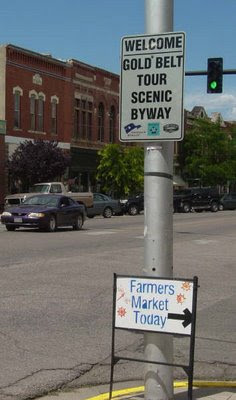 Manitou, however, was a resort town from its beginnings, whereas Florence was about oil and coal and smelting. A considerably different vibe there.